Mementos is going to be rocking on Nintendo Switch tomorrow when Smash Ultimate 3.0 drops the beat to end all beats. Persona fans rejoice. Joker is coming. Nintendo dropped a metric ton of Super Smash Bros. Ultimate news on fans this evening with an extended video detailing the version 3.0 patch as well as the introduction of their latest DLC character. Persona 5's Joker is coming to one of the greatest video game crossovers in history. Nintendo will also be added a brand new Persona Mementos stage with some added flare for fans. The level will change colors based on which song is selected in the menu before starting up a match. Please take a look at the Persona 3, 4 and 5 skins of the new Mementos stage. The version 3.0 patch will drop sometime tomorrow, but for now we have a lot of things to be excited about. This extended video trailer highlighted other new content coming to Smash Ultimate players including a video editor, level designer, Persona Mii Fighter costumes, and a brand new Smash World experience for the Nintendo Switch Online mobile app. This was a mega announcement with a ton of fan service for both Persona and Smash Bros. players. 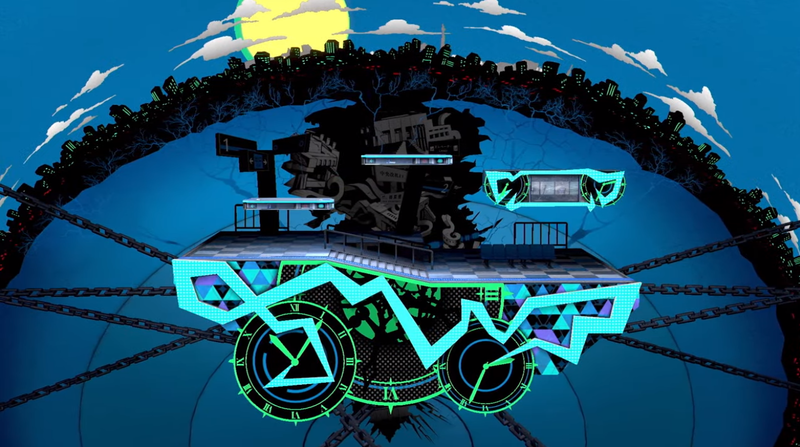 Mementos is shaping up to be a visually stunning stage in any color. The Persona 5 red does look great, of course. It will be interesting to see which color or song ends up being the most played version of the new Persona Mementos stage. No matter what, we can be certain there will be awesome songs from the Persona series added to Smash Ultimate's already ridiculous soundtrack. Tomorrow's addition of Joker and Mementos just further cement Super Smash Bros. Ultimate as one of the greatest crossovers of all time, and there are still four more characters to be added with the Fighter Pass DLC. Be sure to follow Nintendo Versus on Twitter to not miss a beat. If you are not into Twitter or social media, we have you covered and will continue to keep our readers updated as more Super Smash Bros. Ultimate version 3.0 patch information comes to light. Need some help unlocking Joker? We have you covered with our guide.